What if your local physician’s office was a bit more like an Apple store? No, we don’t mean full of stubble-sporting hipsters and with enormous queues on the weekend, but rather with the same focus on seamless tech, great customer service, and (of course!) Jony Ive-style minimalist design. That’s the dream of a new San Francisco-based health startup called Forward, which wants to tear up the way we do health care and start again. To help with this, it’s combining a focus on the latest smart tech with a $149 per month subscription model — thereby offering customers unlimited visits to their doc. Before coming up with the concept of Forward, Aoun was head of a Special Projects division at Alphabet, where he founded the urban infrastructure-oriented Sidewalk Labs. His cofounders at Forward include other Google employs and an early Uber executive. 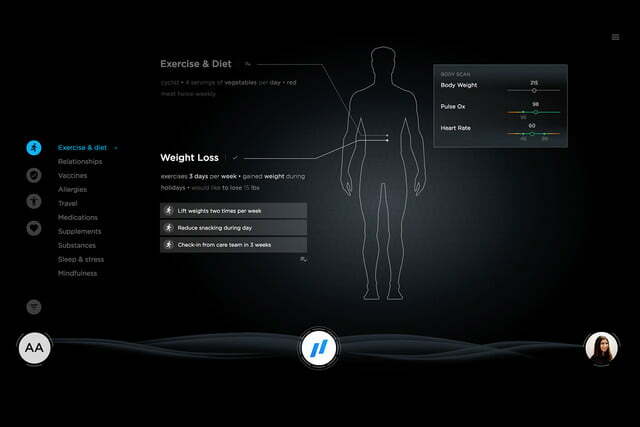 The startup promises an impressive array of offerings, including health monitoring, body scans, women’s health, travel medicine, nutrition, blood tests, and skin care. Subscribers get unlimited access to doctors either in person or 24/7 through a mobile app. If they need a specialist, Forward will then help them find the best, most cost-effective option available and coordinate it on behalf of its members. As you might expect from a company started by tech execs, it places a big emphasis on wearable devices which let patients monitor their health. 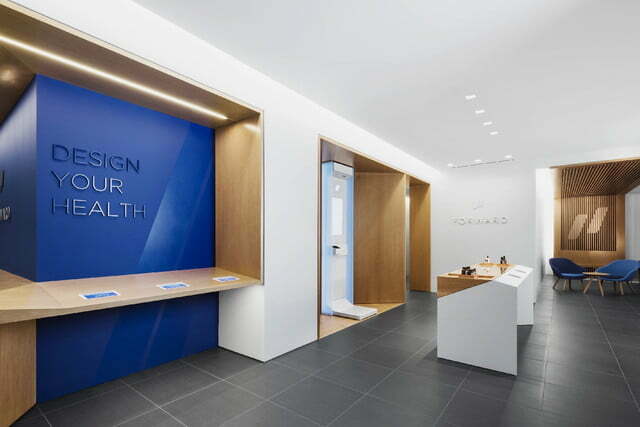 The other exciting bit about Forward is its high-end doctors’ offices. 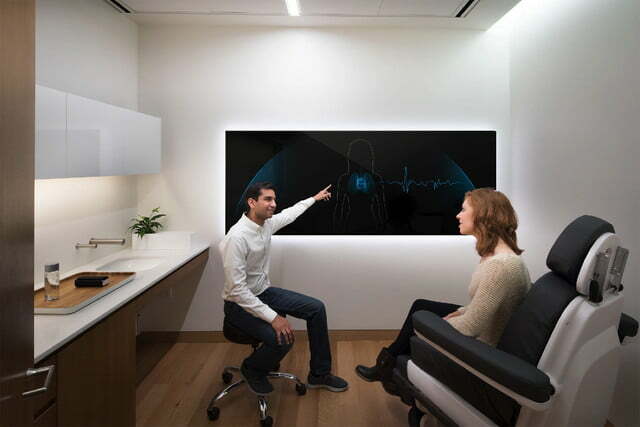 Exam rooms are equipped with gorgeous big-screen displays doctors can use to immediately pull up relevant history and sensor data, while there’s also on-site pharmacy and more. Can a service like this do for the healthcare system what Google did for search in the late 1990s? 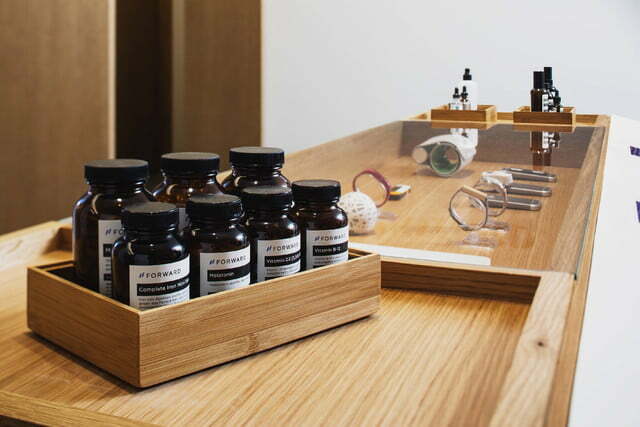 We’ll have to wait and see, but if you happen to live in the vicinity of San Francisco you can go and check it out for yourself — courtesy of Forward’s 3,500-square-foot flagship location. Even if you don’t live in the area, however, you can still visit to do your baseline appointment, and then access the 24/7 medical team from anywhere in the world via the Forward mobile app. Going forward, the plan is to open more branches in other parts of the U.S. “San Francisco is our first location, with plans to expand in the coming months,” Aoun said.